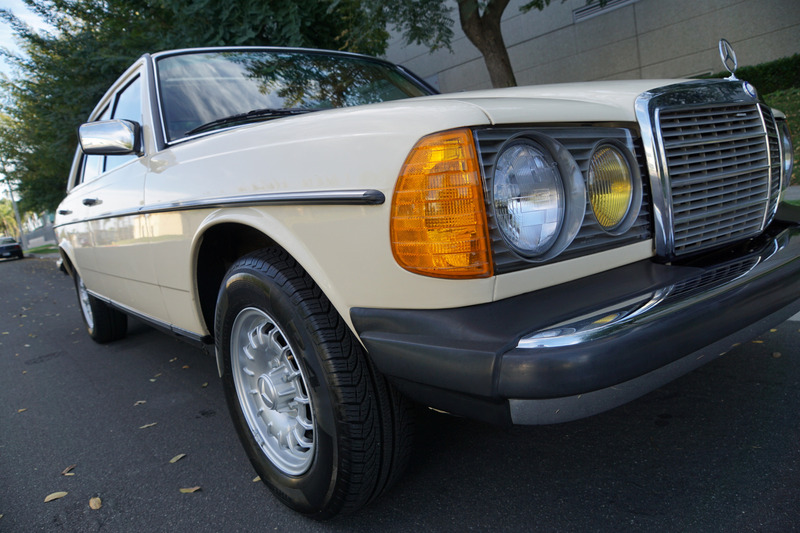 West Coast Classics are proud to present an absolutely exceptional and virtually flawless example of this 1983 Mercedes-Benz 300D 3.0L 5 cylinder 4 Door Turbo Diesel Sedan in its original factory 'Light Ivory' (Color Code 623) paint with a striking and flawless 'Palomino' color MB-Tex interior, original Mercedes Benz factory 'Bundt' style alloy wheels, original 'Becker' AM/FM radio/cassette and only 43K original miles! 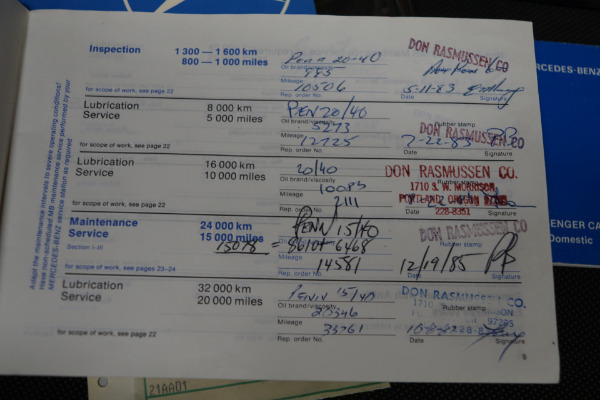 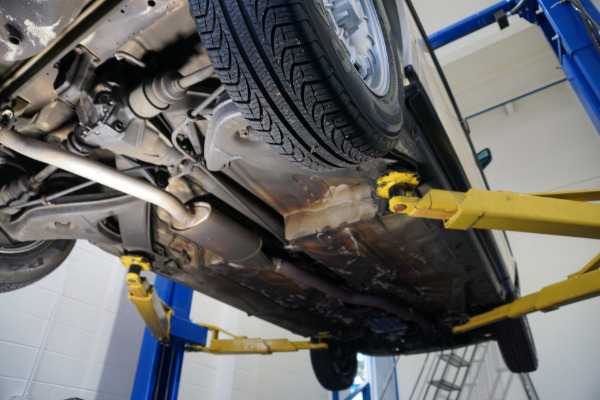 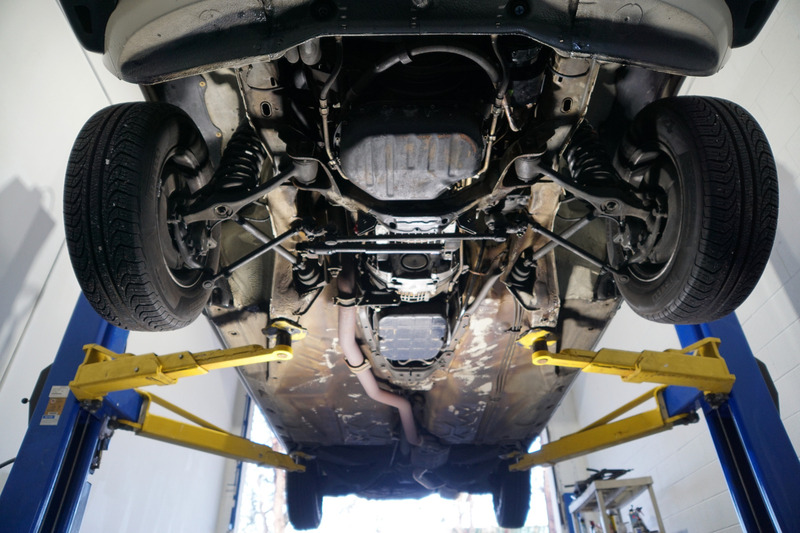 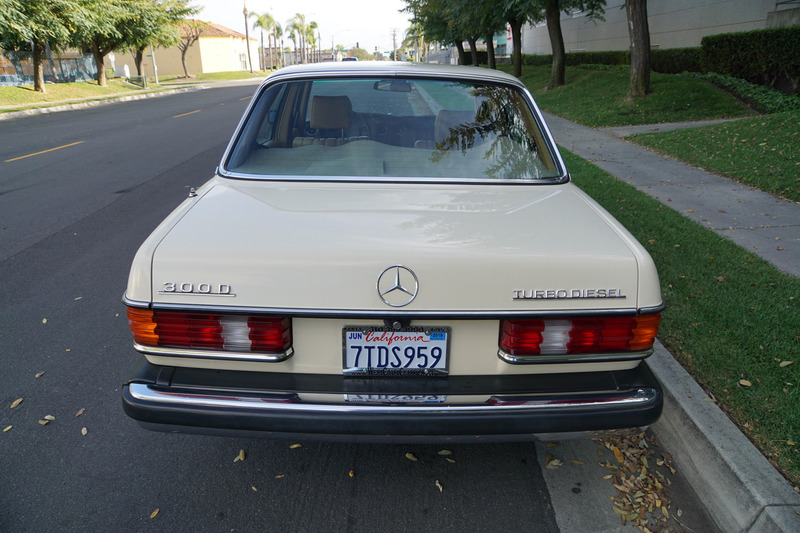 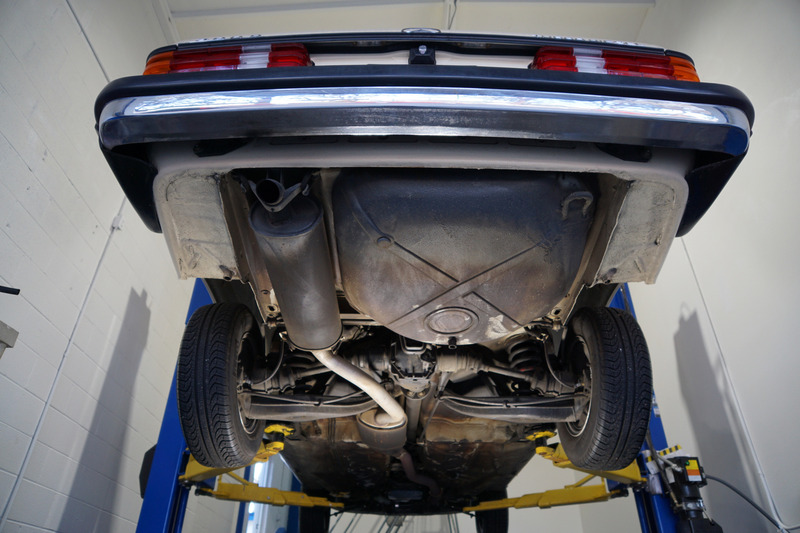 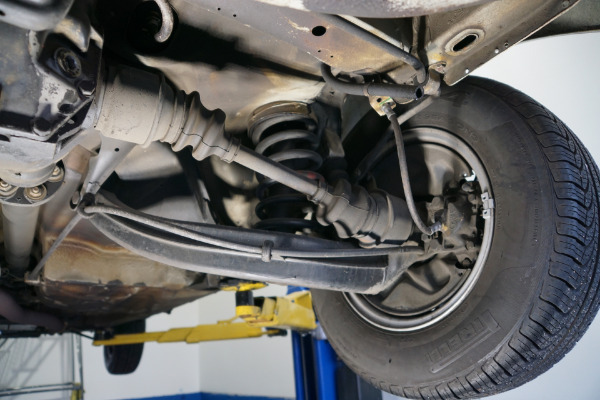 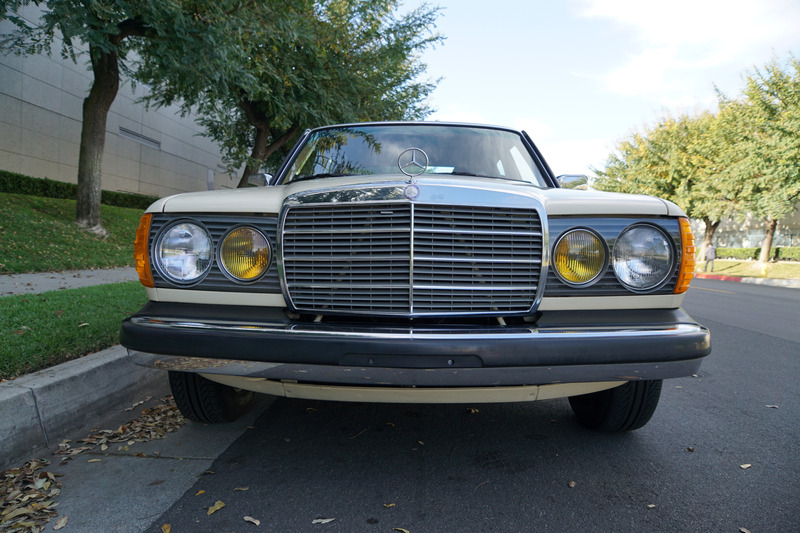 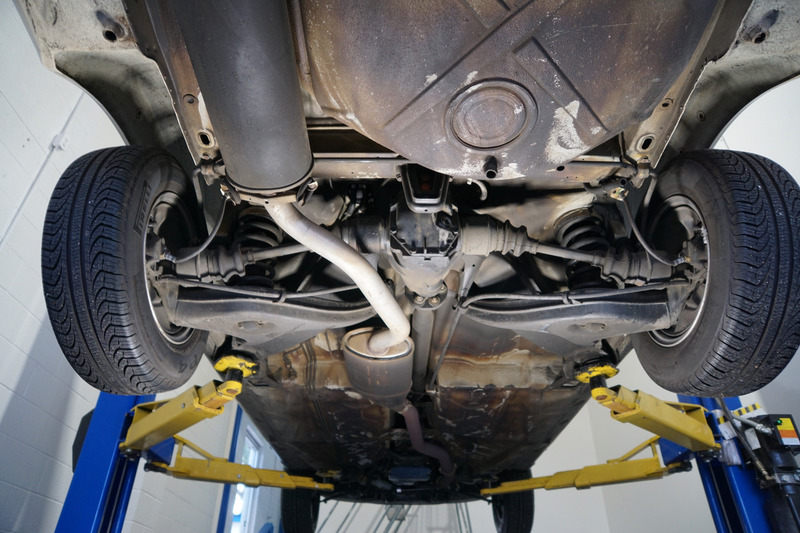 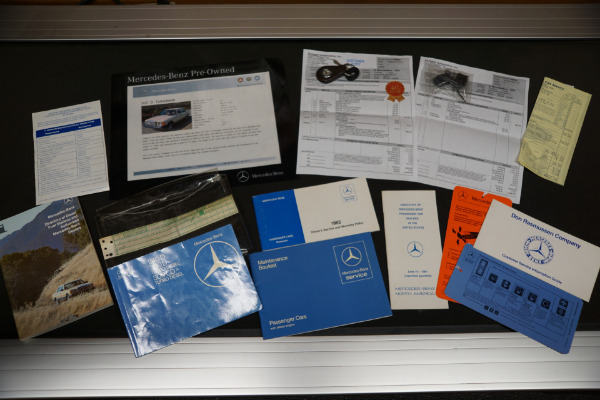 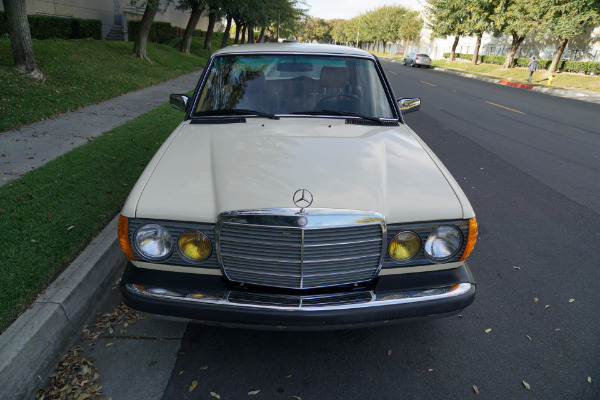 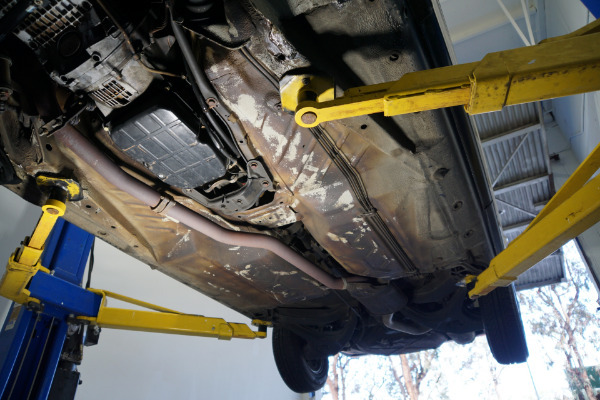 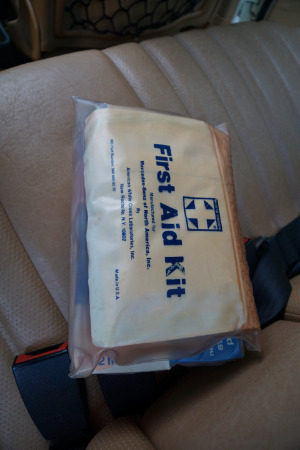 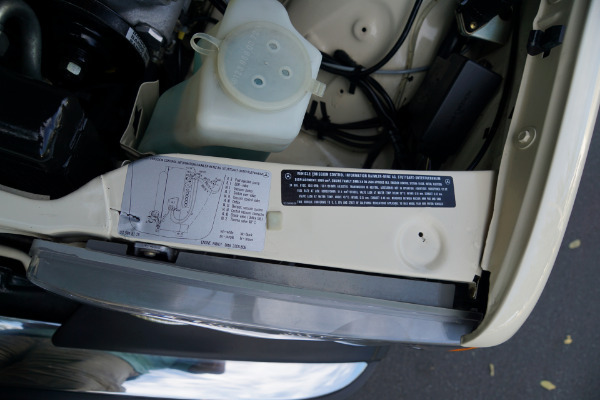 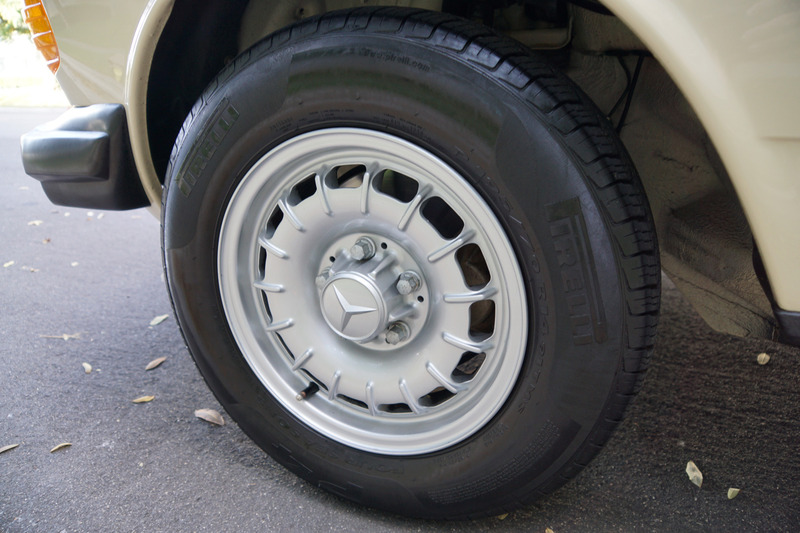 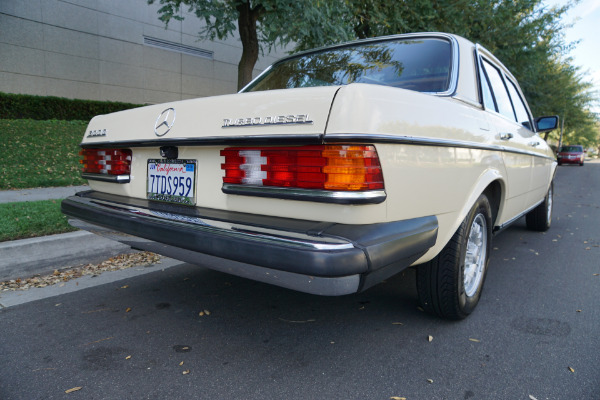 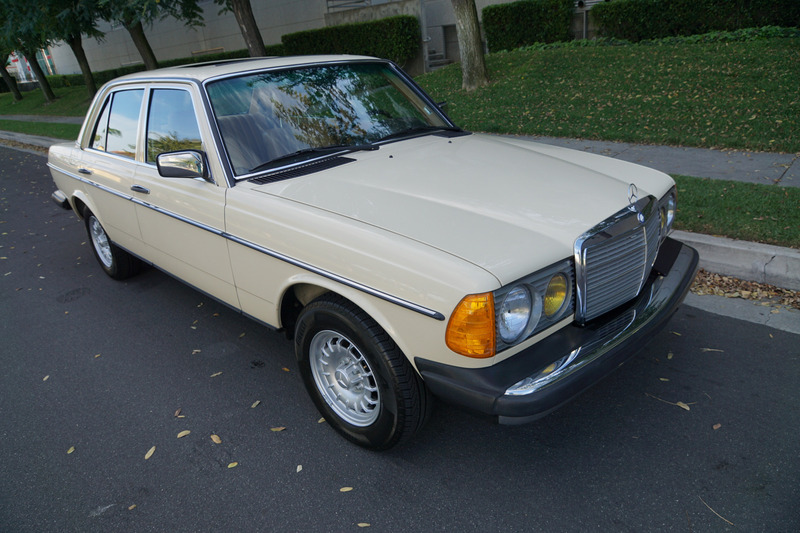 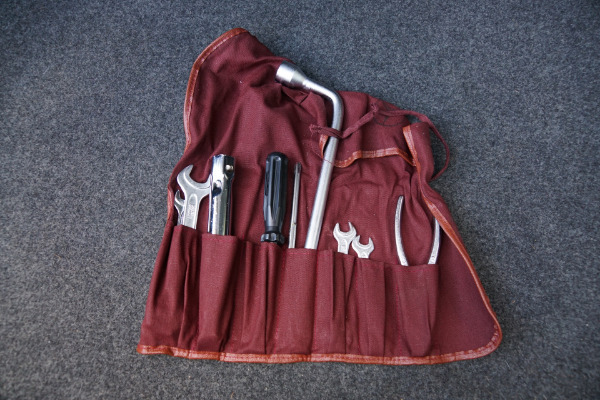 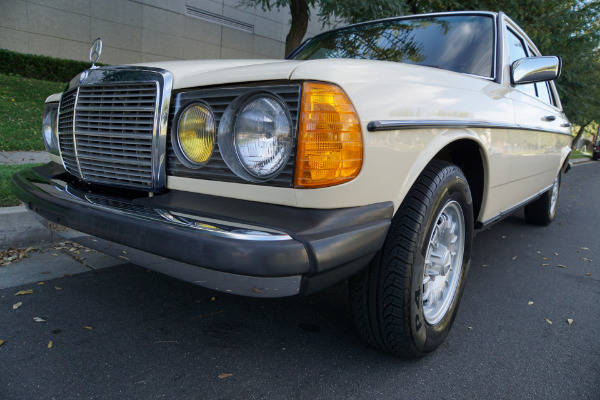 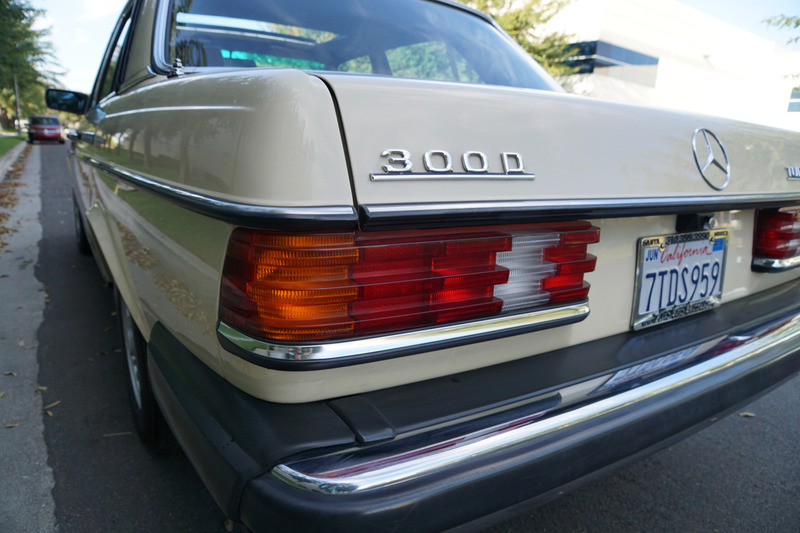 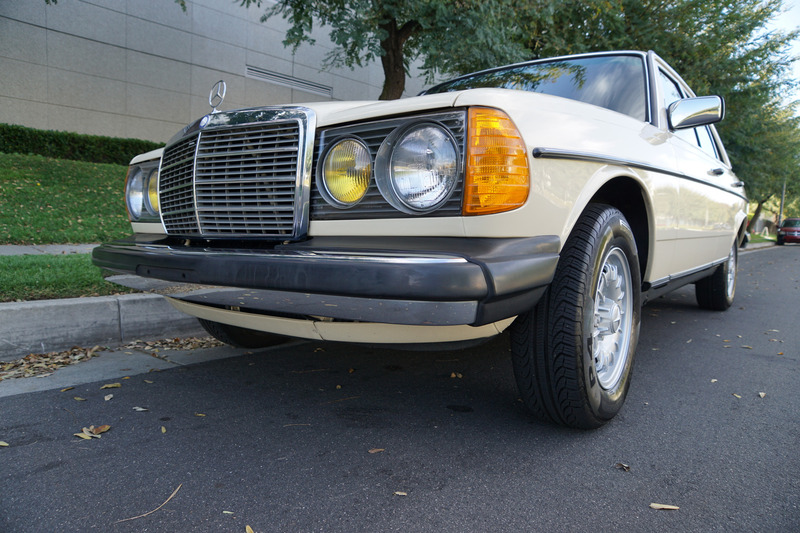 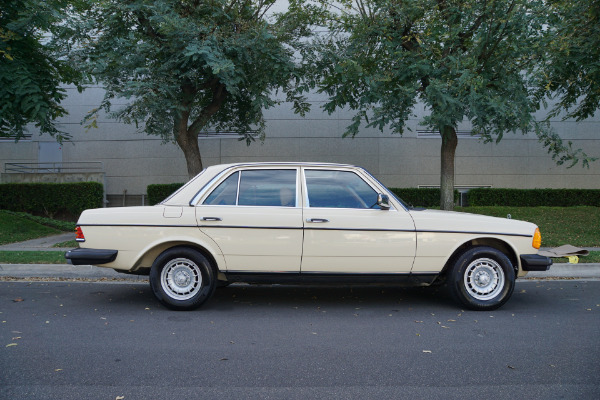 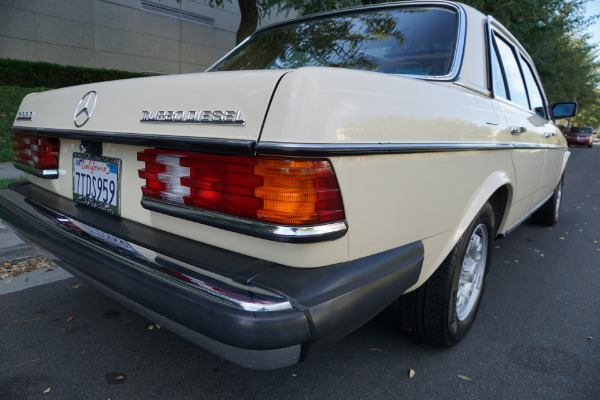 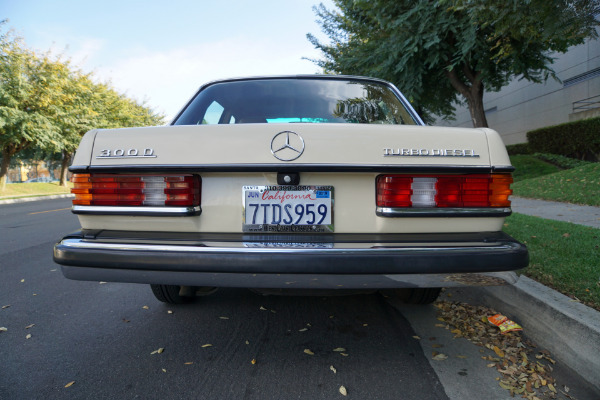 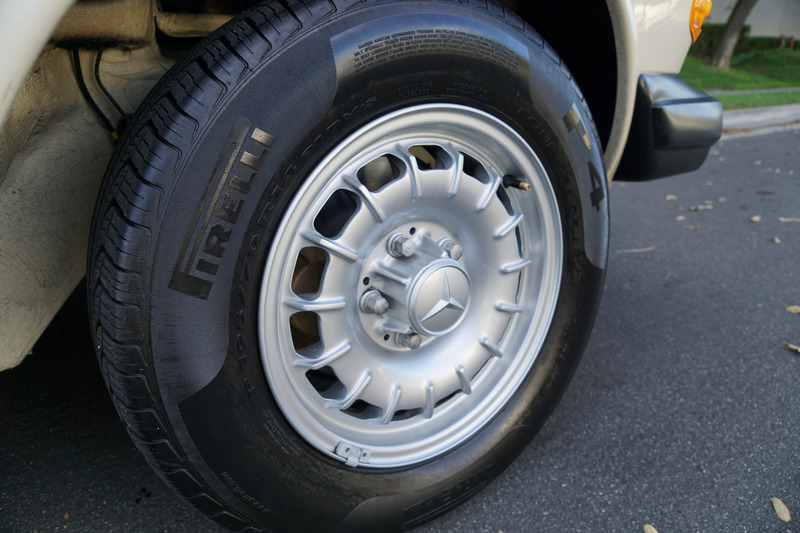 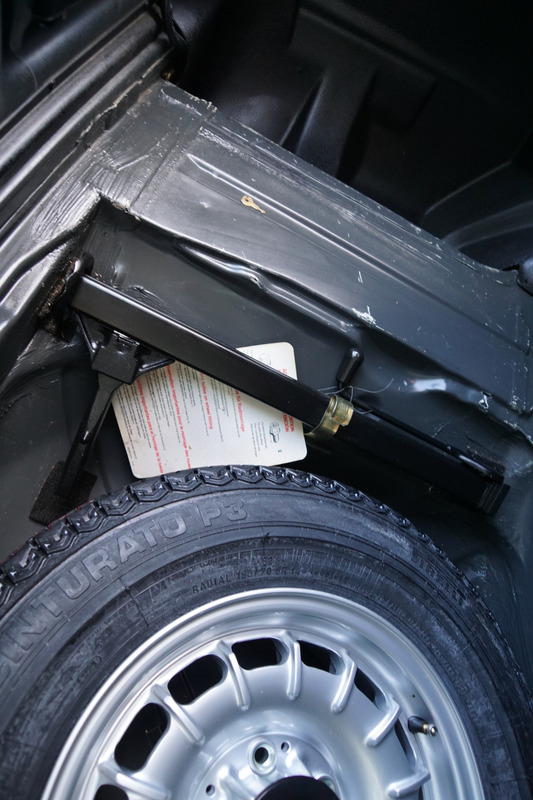 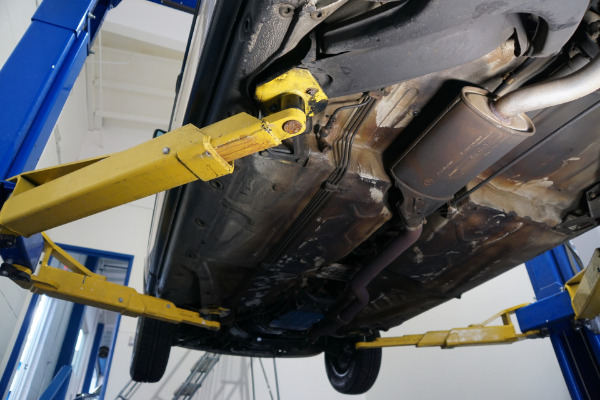 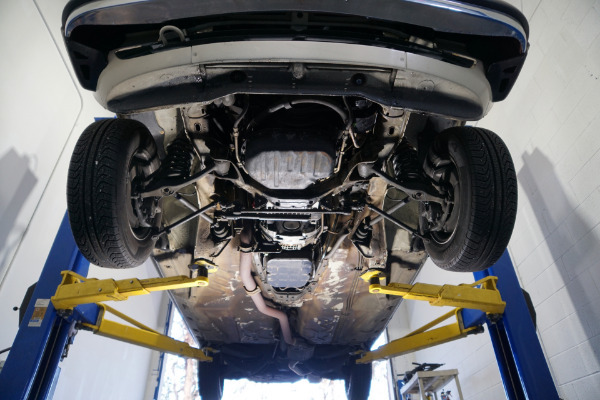 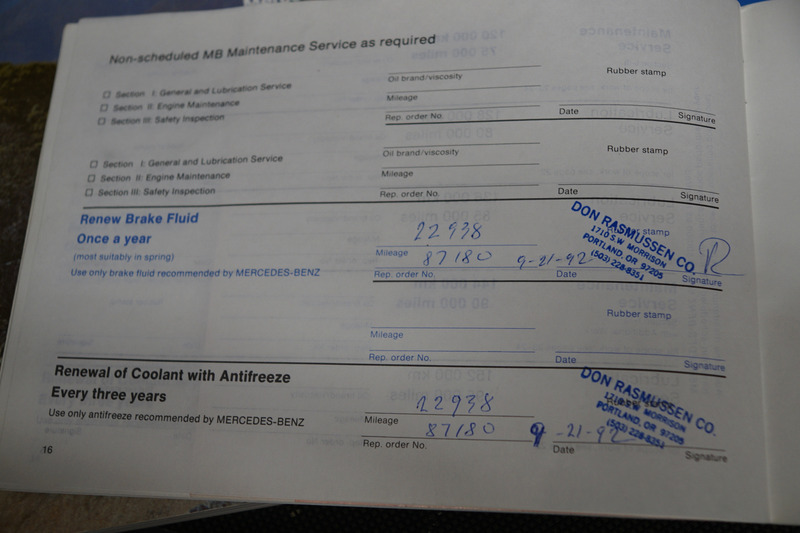 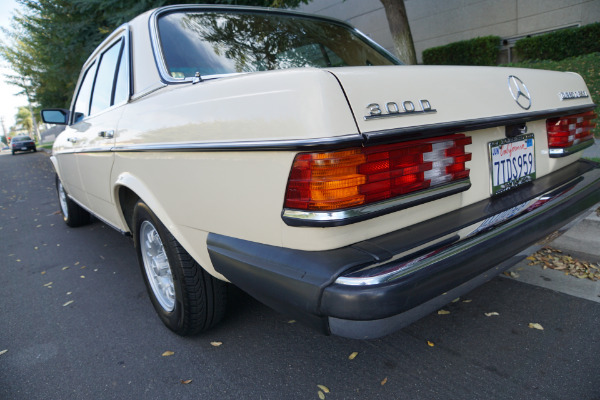 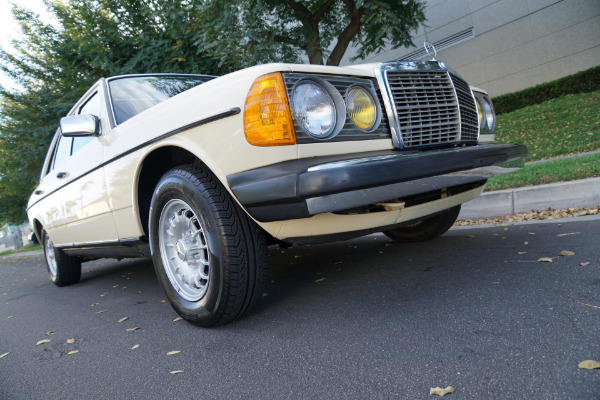 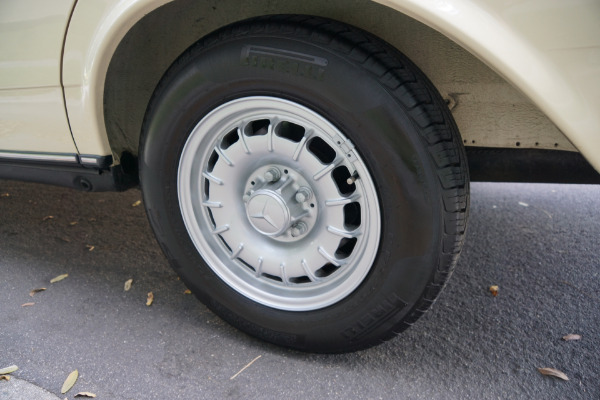 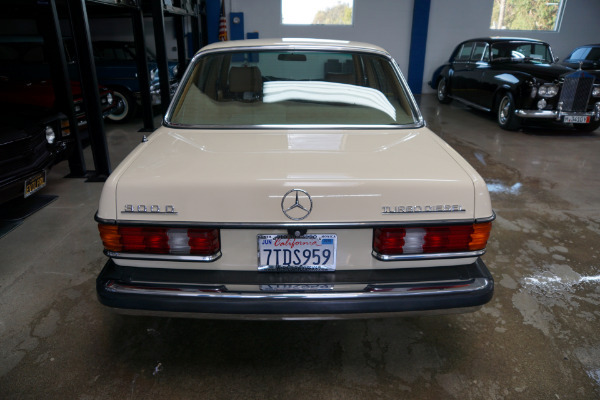 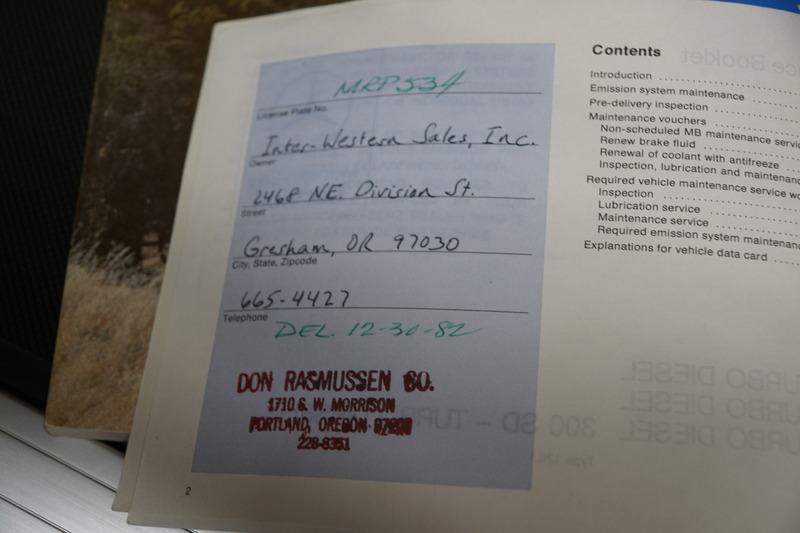 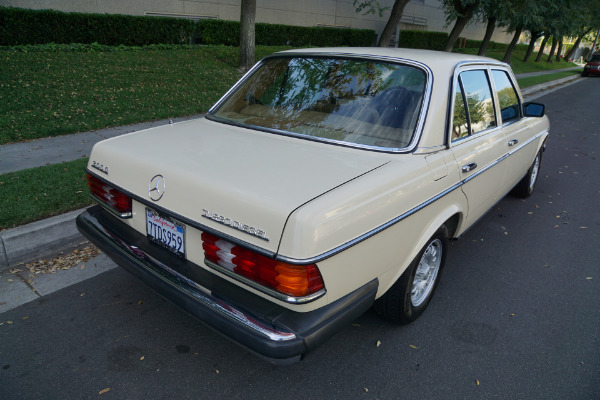 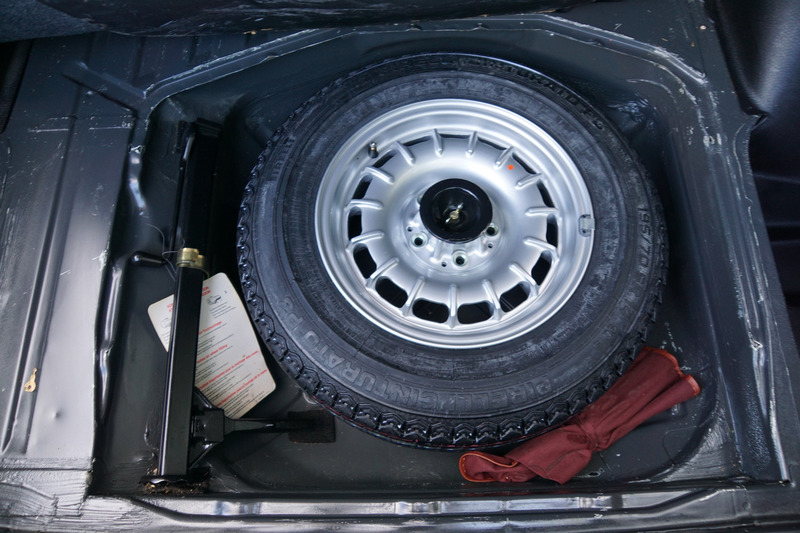 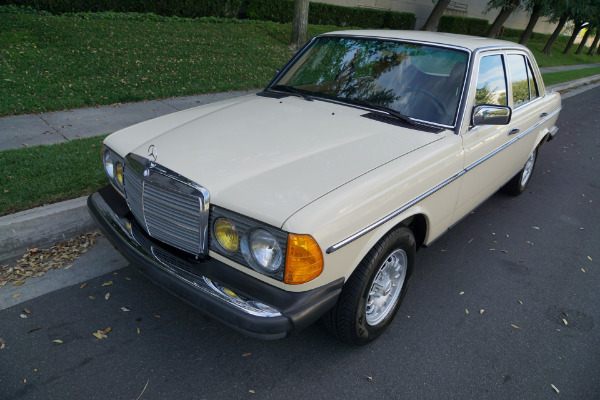 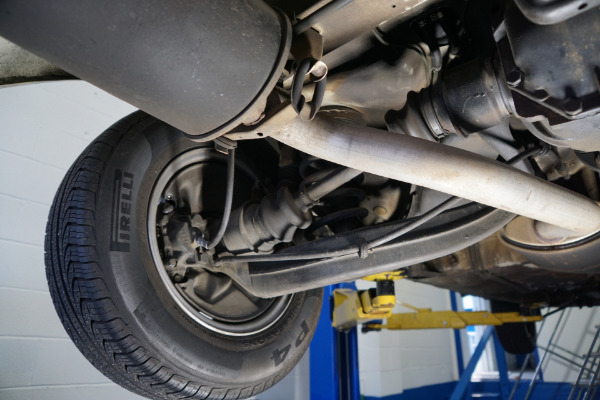 Purchased and originally serviced at 'Don Rasmussen Company' the Mercedes-Benz dealership of Portland, OR on 12/30/1982 with all of its original owners manuals, dealer stamped maintenance booklet and factory tools available. 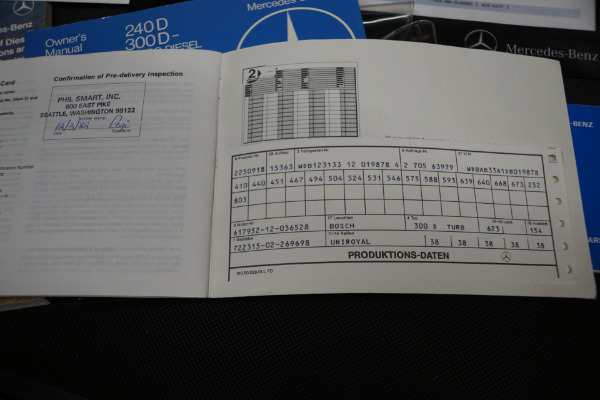 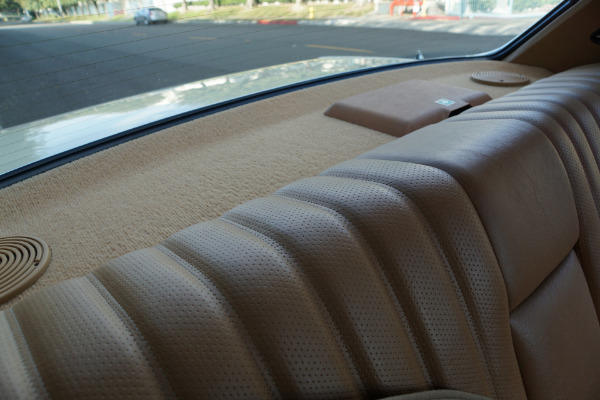 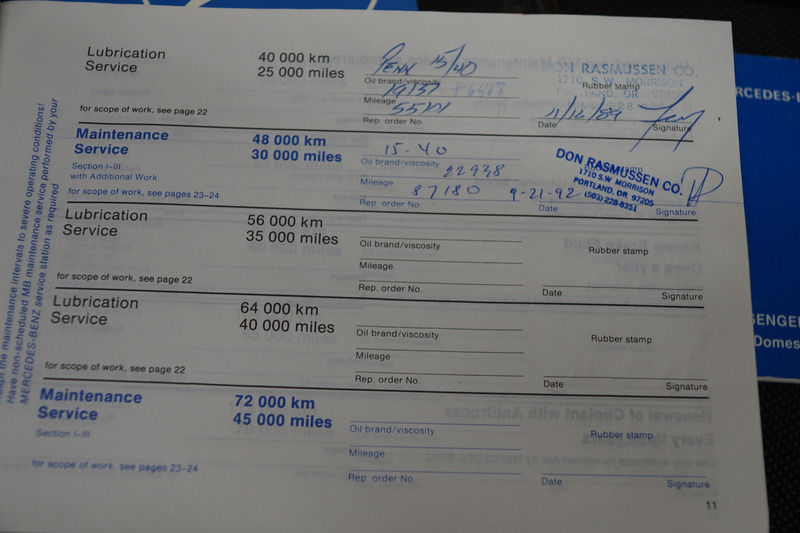 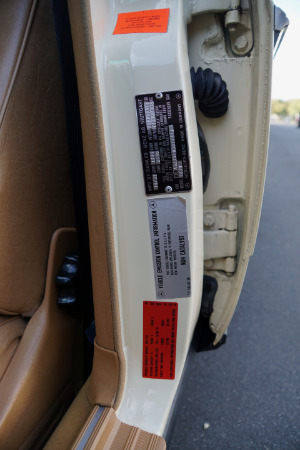 The car was recently purchased before we owned it at the renown 'Mercedes-Benz Classic Center' with 38,500 original miles where it had been comprehensively inspected and reconditioned as required and which was sold as a Pre-Owned certified vehicle which was reported as being an "original, unrestored car with 38,500 miles from new and in exceptional nearly new condition throughout" which it remains to this day. 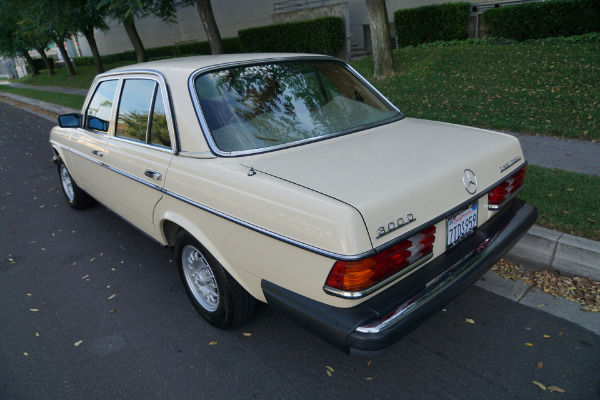 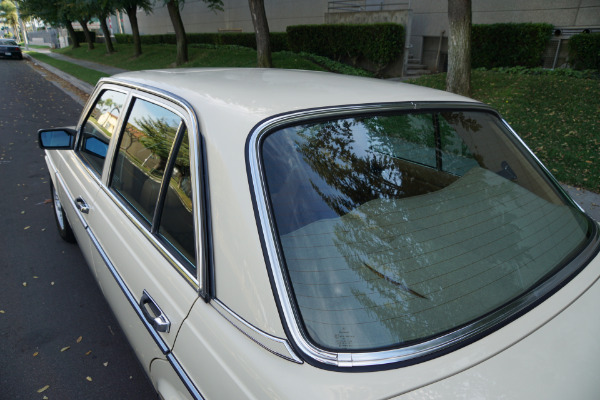 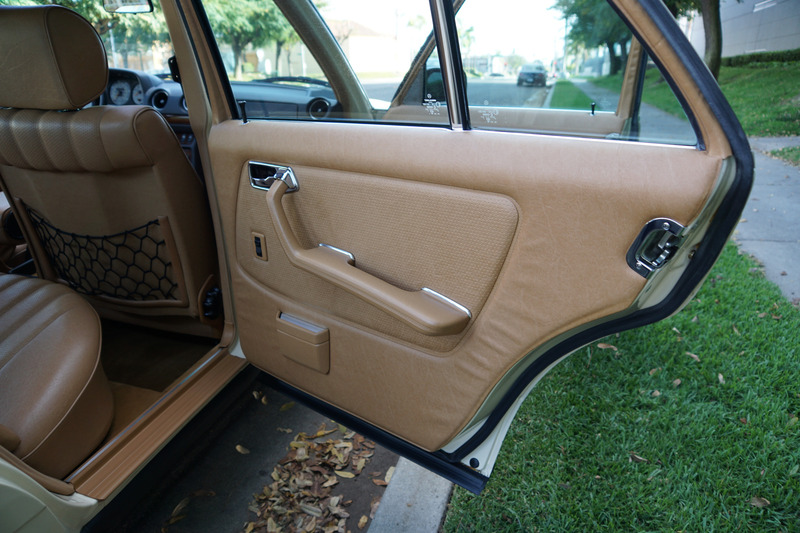 We have sold many examples of the 123 300D series and have yet to see, let alone own, such a well preserved and simply virtually flawless example. 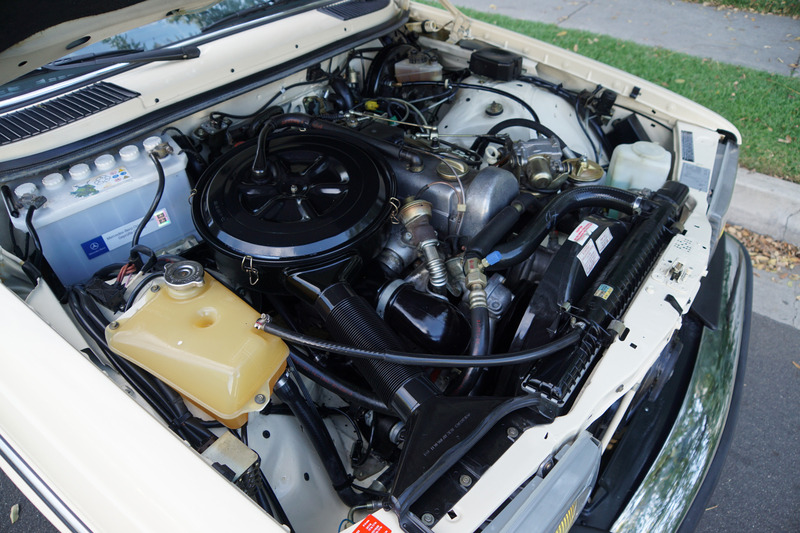 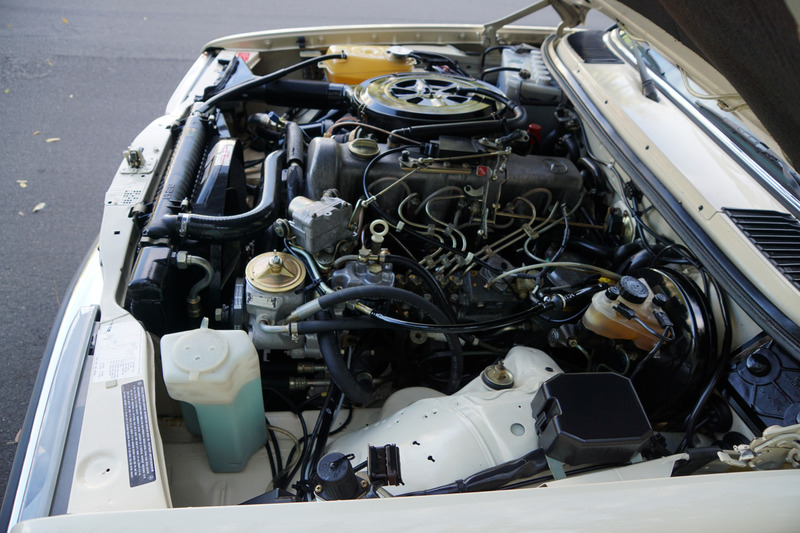 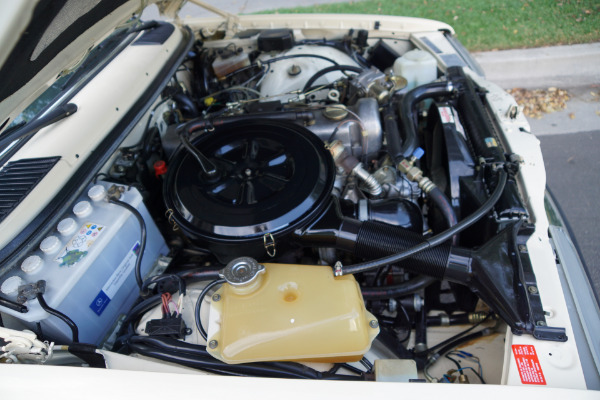 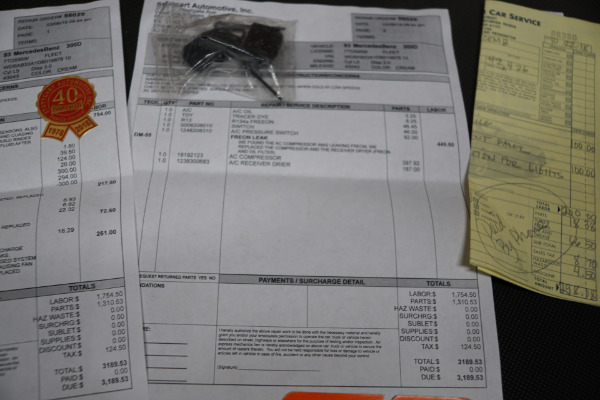 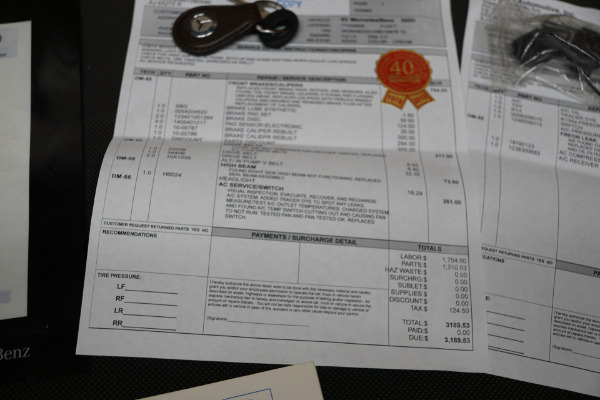 The car boasts a clean Carfax report confirming the car's low original mileage and has recent service receipts from the renown 'Stuttgart Automotive', Mercedes-Benz independent specialists of Los Angeles, CA where it received a clean bill of health at 43,043 miles with a new AC compressor and receiver drier installed with R134a freon, new front brake pads, rotors, calipers & sensors. 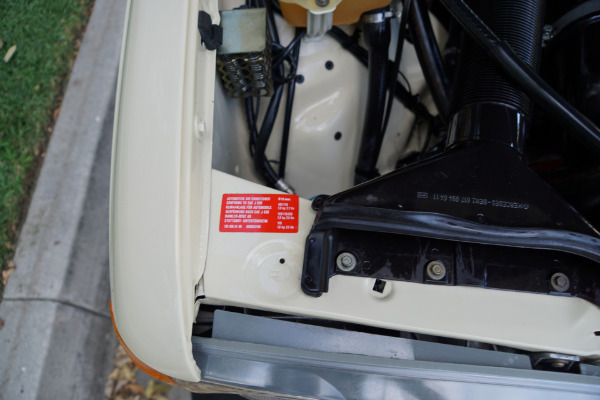 all new drive belts, etc. 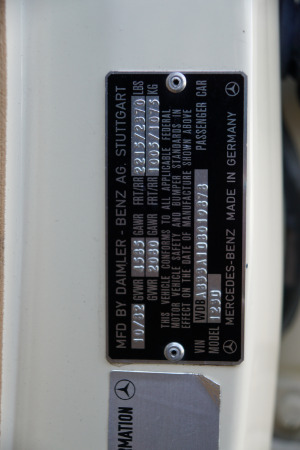 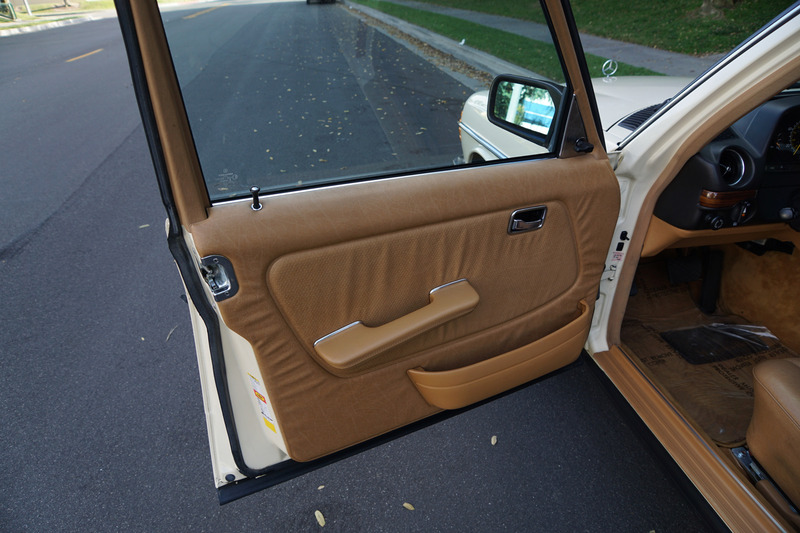 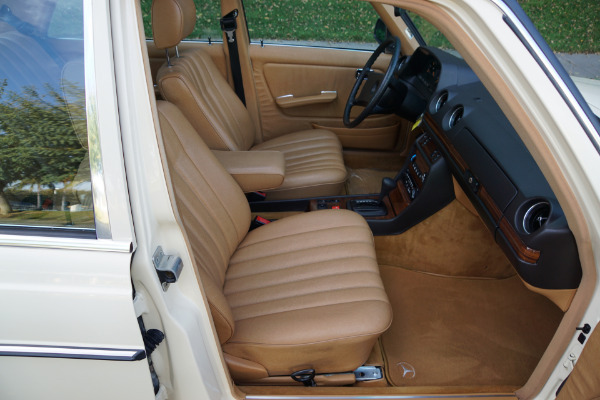 The Mercedes-Benz W126 is a now legendary series of flagship vehicles manufactured by Mercedes-Benz until 1991 and was a successor to the earlier W116 series and was offered in a straight six, V8 and the now renown diesel models. 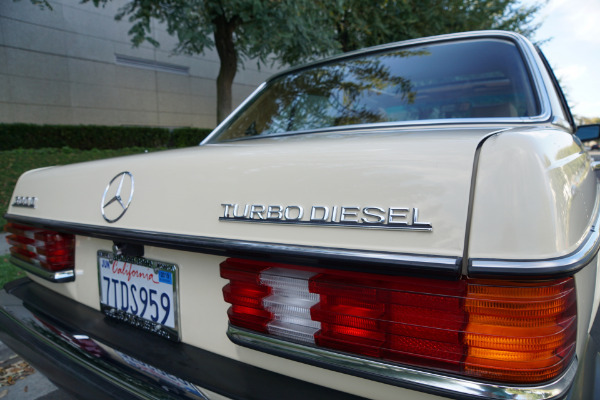 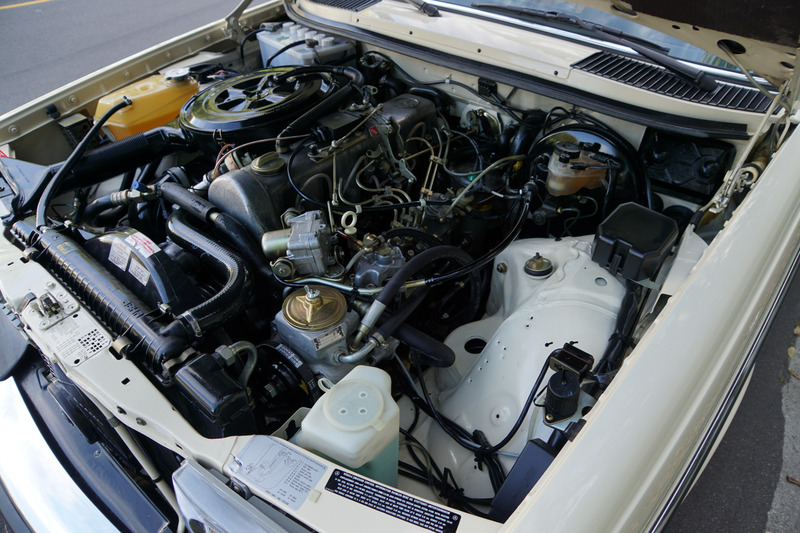 The 1981-85 diesel models are now universally considered to be one of the most reliable engines ever produced in the world and one of the key reasons for Mercedes popularity around the world today as the ultimate long distance and durable touring car with many models still being used around the globe as taxi cabs or otherwise boasting many hundreds of thousands of miles on the clock. 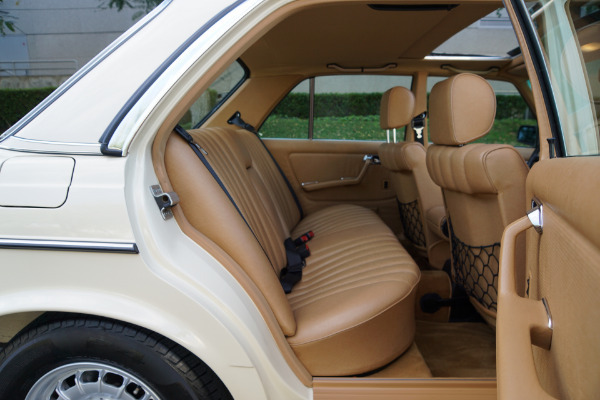 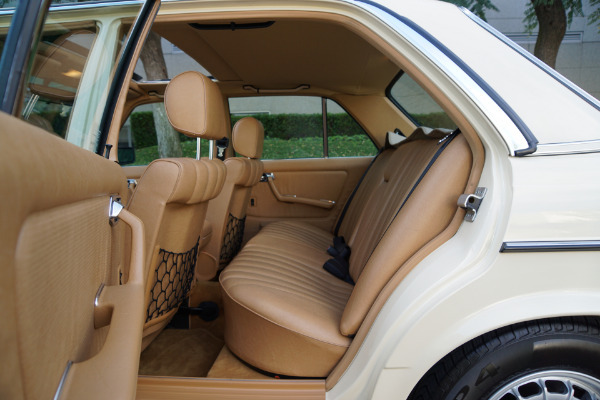 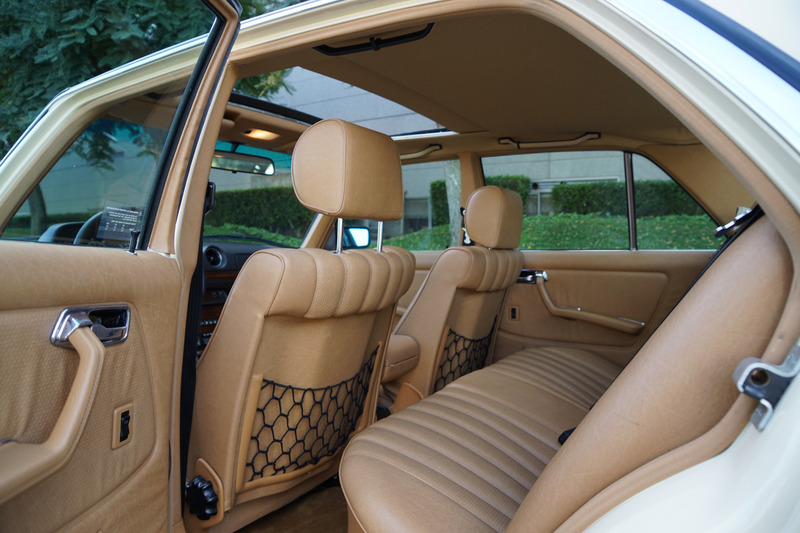 They offered a unique combination of luxury, exclusivity, economy and reliability that could not possibly be matched by any other brand making it the vehicle of choice by countless diplomats, executives and other such entities. 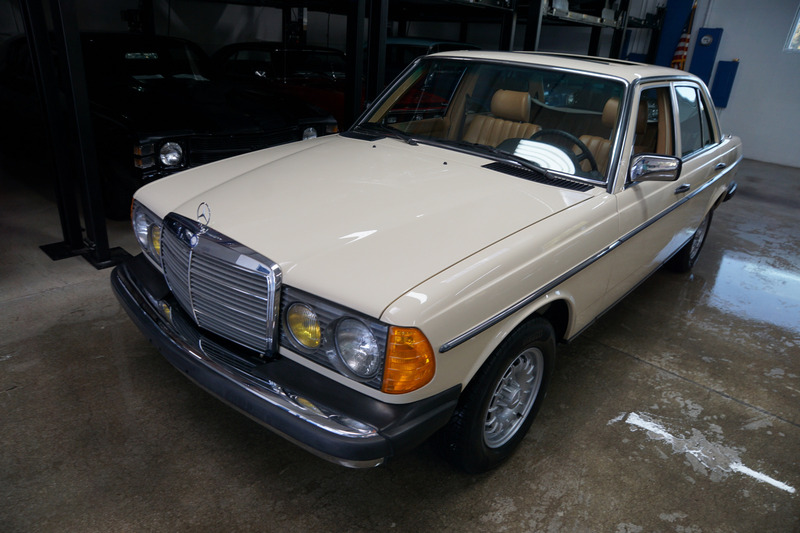 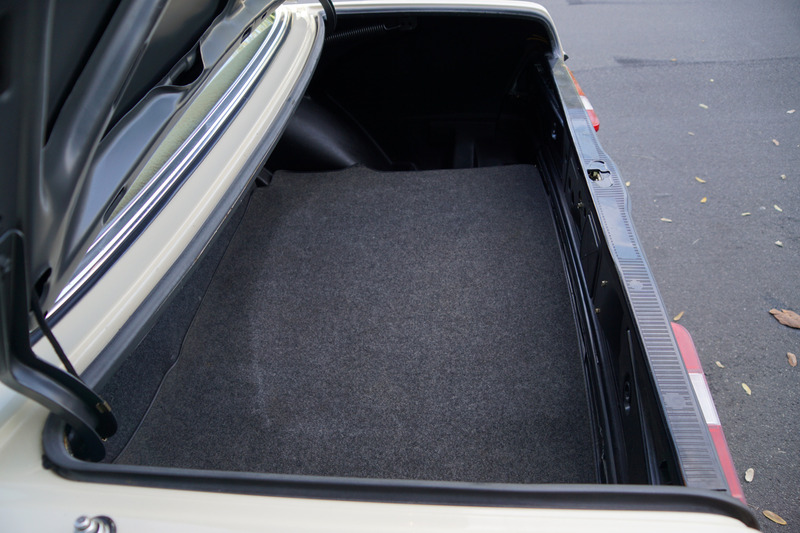 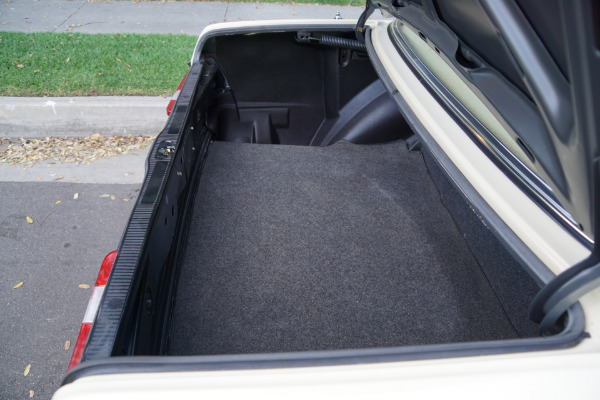 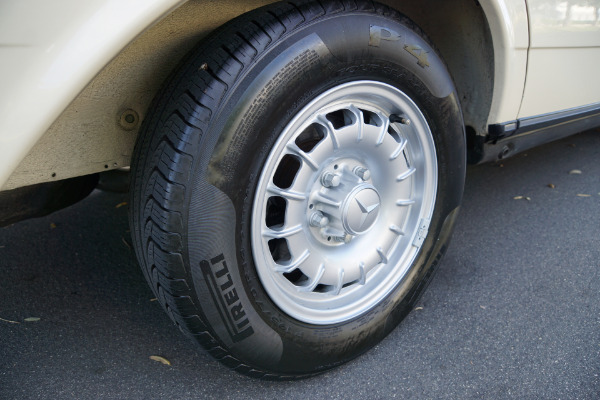 These luxurious cars still command a strong demand internationally, especially low mileage and well maintained and unabused examples such as this particular example. 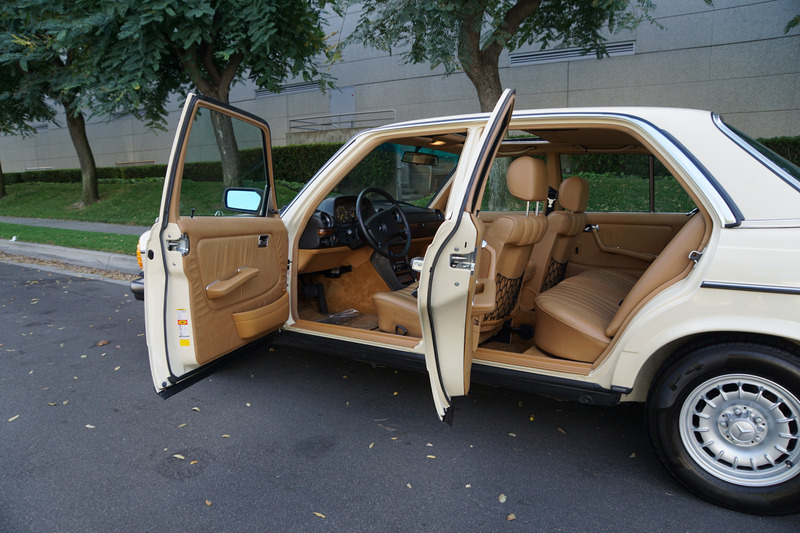 They are known for their near indestructibility, build quality and vault like construction. 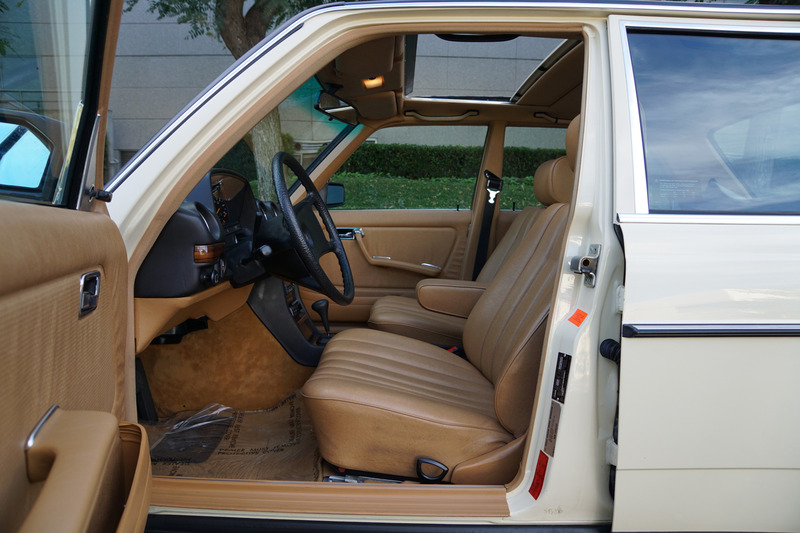 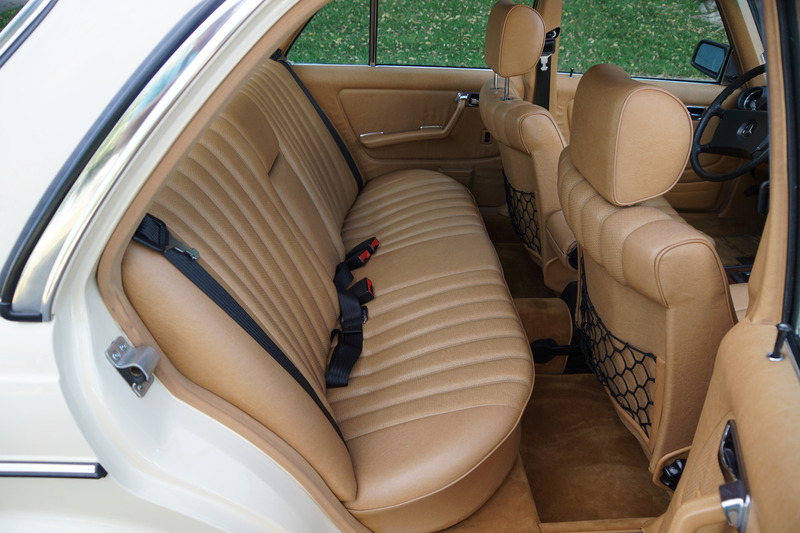 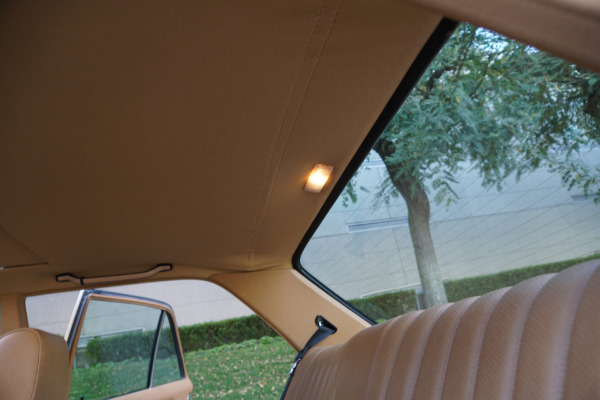 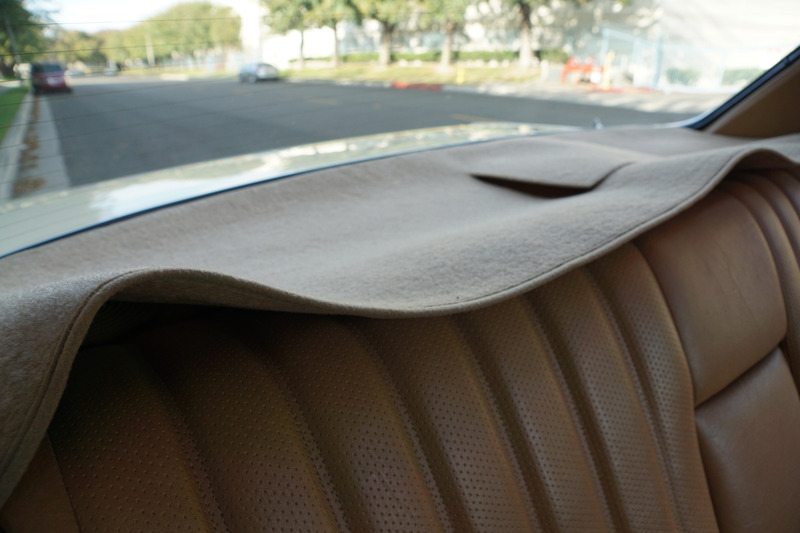 This particular car was obviously always garaged by its previous owner's and the original factory 'Light Ivory' color paint is in simply astounding condition as is the original 'Palomino' interior which is also in absolutely gorgeous shape with no signs of wear and with the original dashboard having always been covered as was the rear shelf and the wood veneer in complete and beautiful original shape (obviously always garaged and covered from any elements). 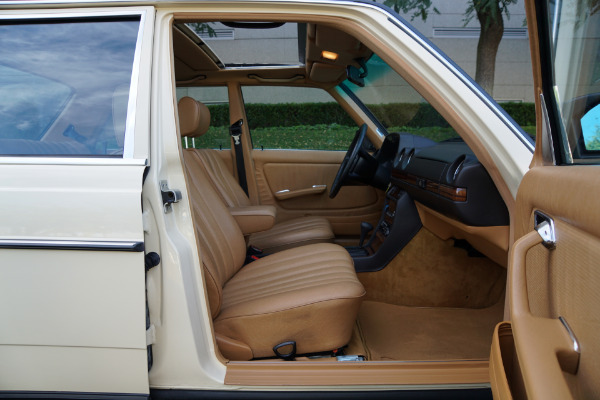 The car's factory options include 5 cylinder Turbo Diesel engine, automatic transmission, power assisted steering, power assisted four wheel disc brakes, tinted glass, cruise control, electric window lifts, electrically heated rear window, fully independent suspension, power assisted four wheel disc brakes, anti-lock brakes, automatic antenna, automatic air conditioning with climate control, central locking, power mirror, power antenna, 'Becker' radio/cassette, factory sunroof and desirable factory 'Bundt' alloy wheels. 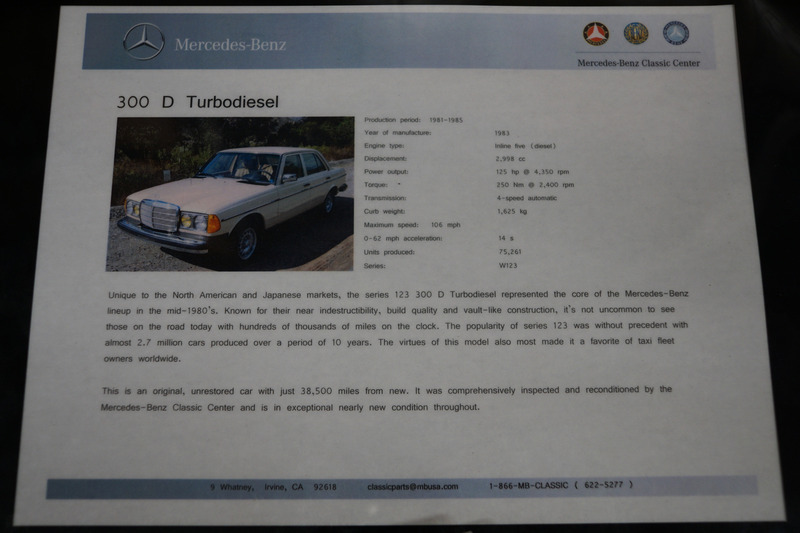 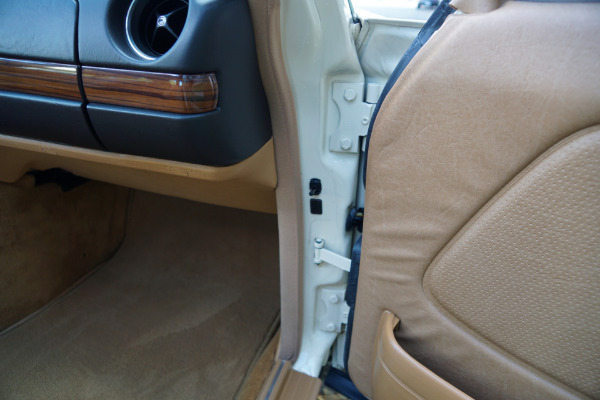 The car drives exactly like such a well maintained and serviced Mercedes-Benz Diesel with only 43K original miles (ultra low mileage and extraordinarily rare for these notoriously hard driven vehicles and virtually just broken in for this legendary engine) should and must be seen and driven to be truly appreciated! 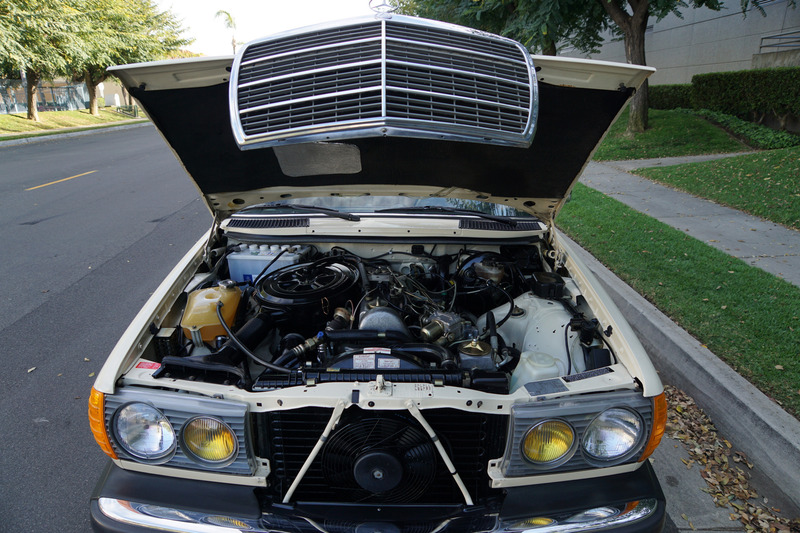 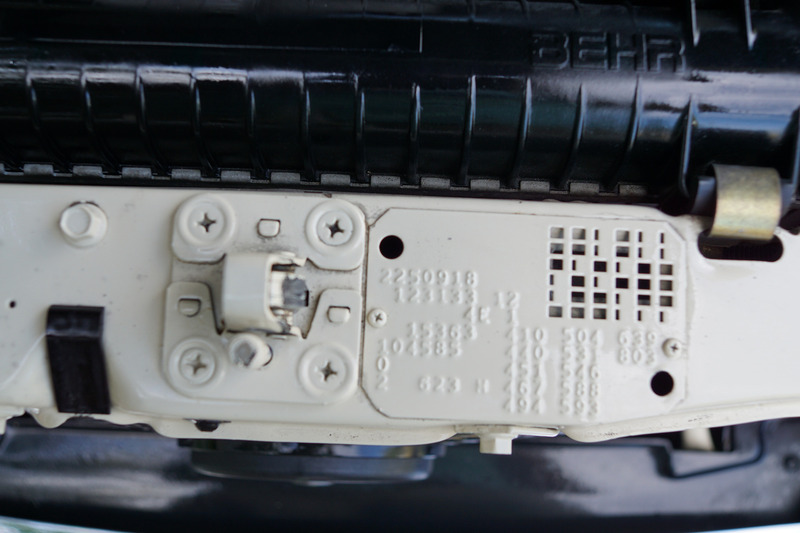 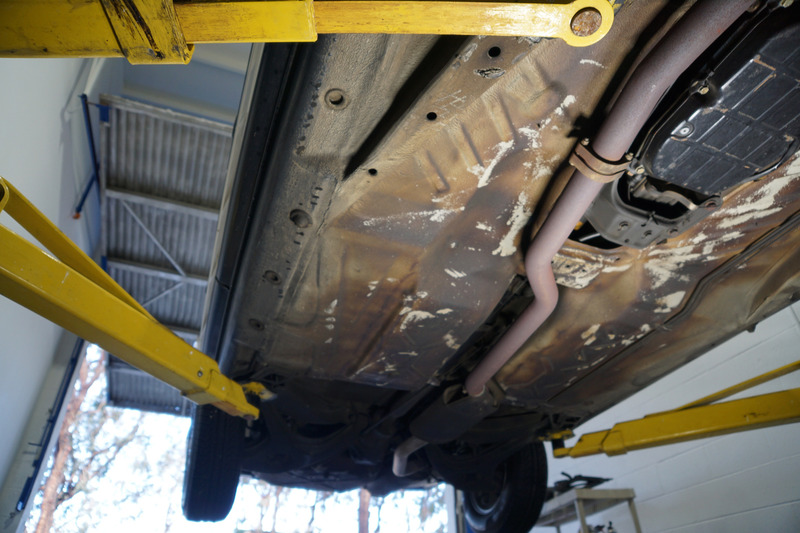 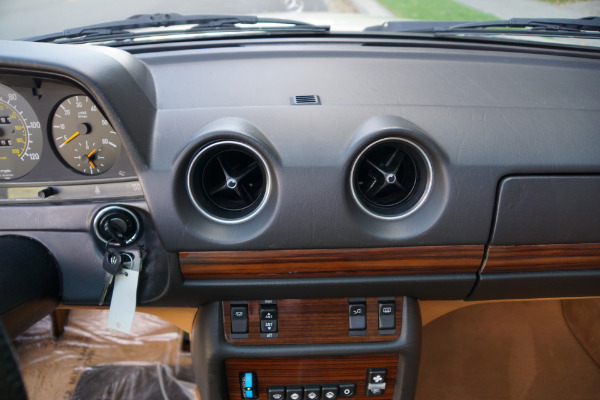 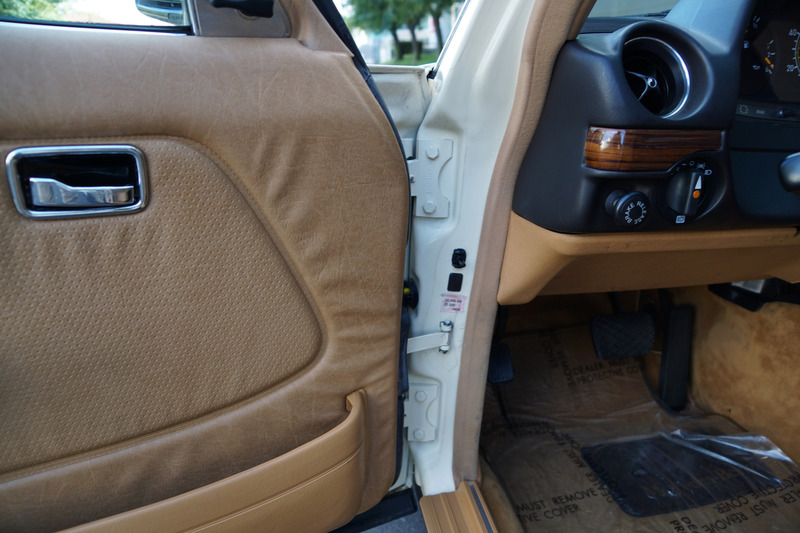 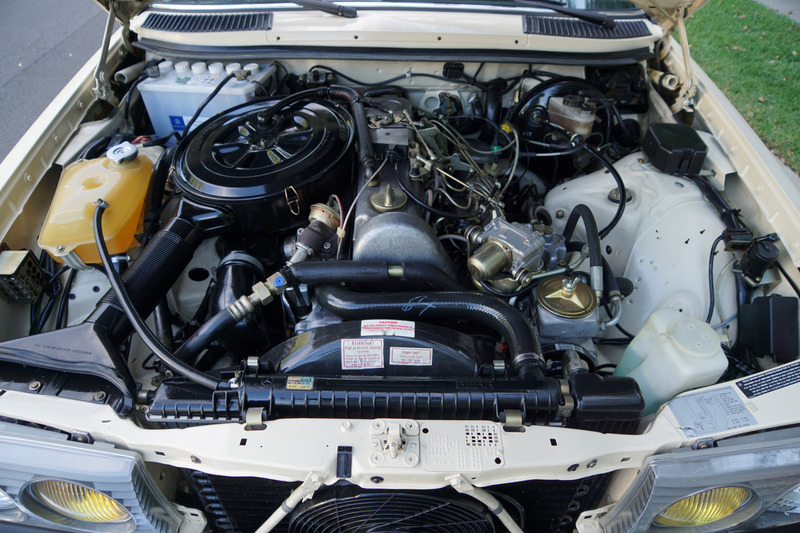 The engine is extremely strong with no noticeable oil leaks and the temperature always remains cool. 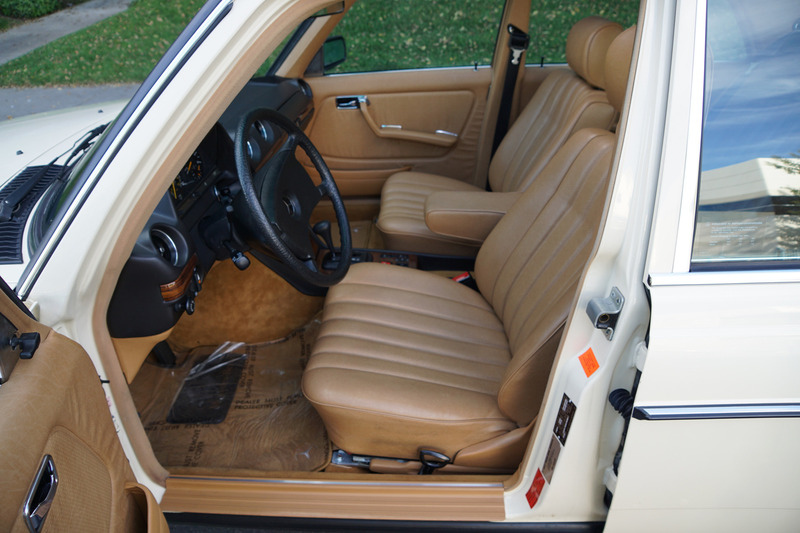 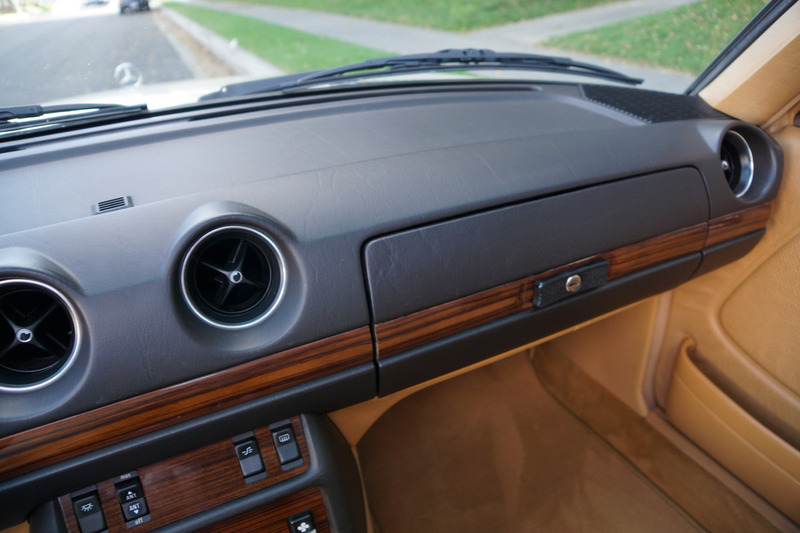 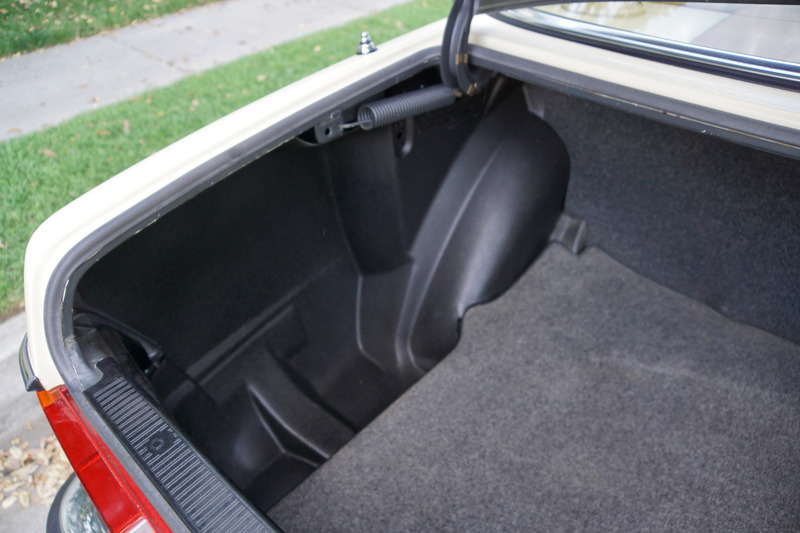 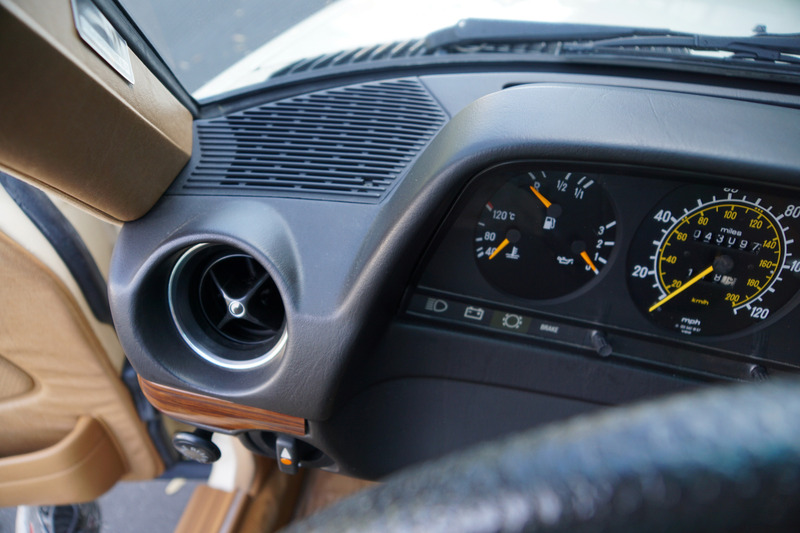 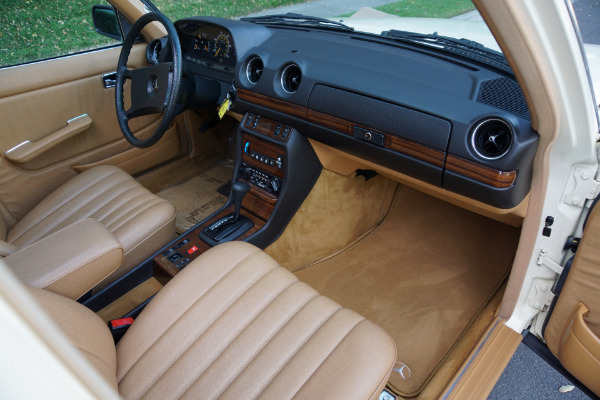 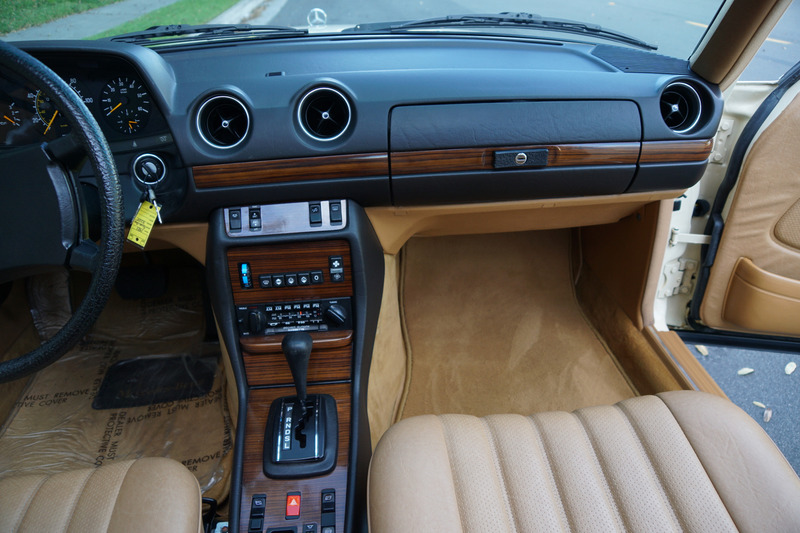 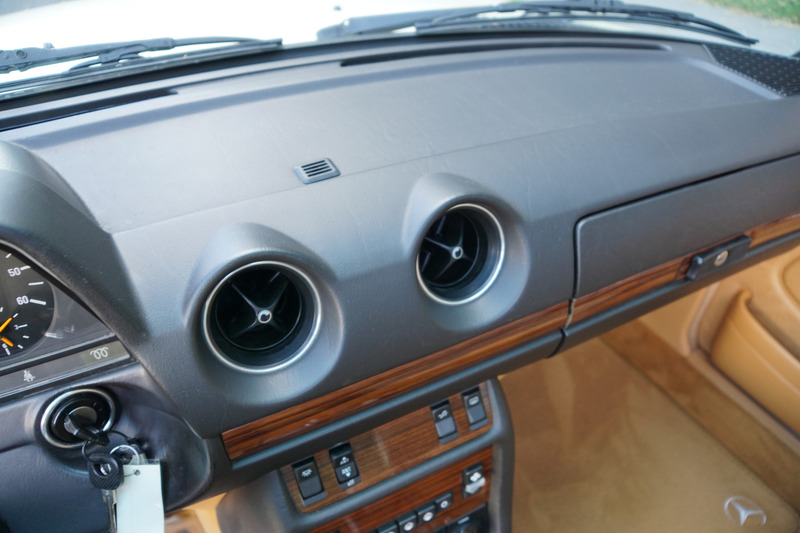 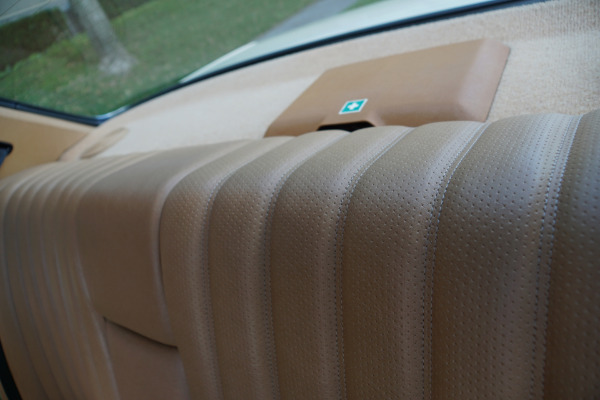 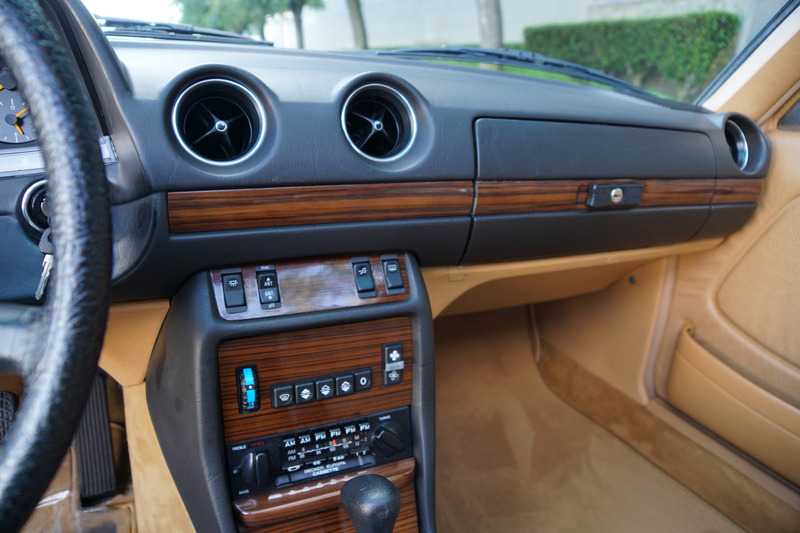 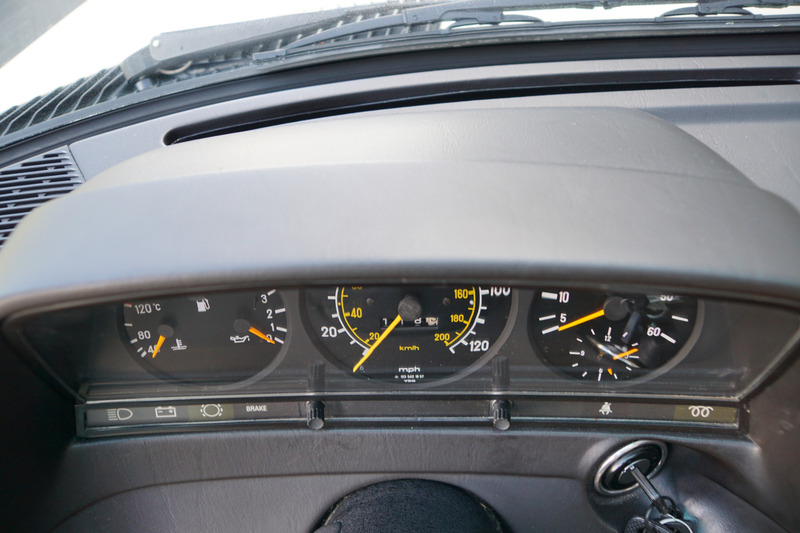 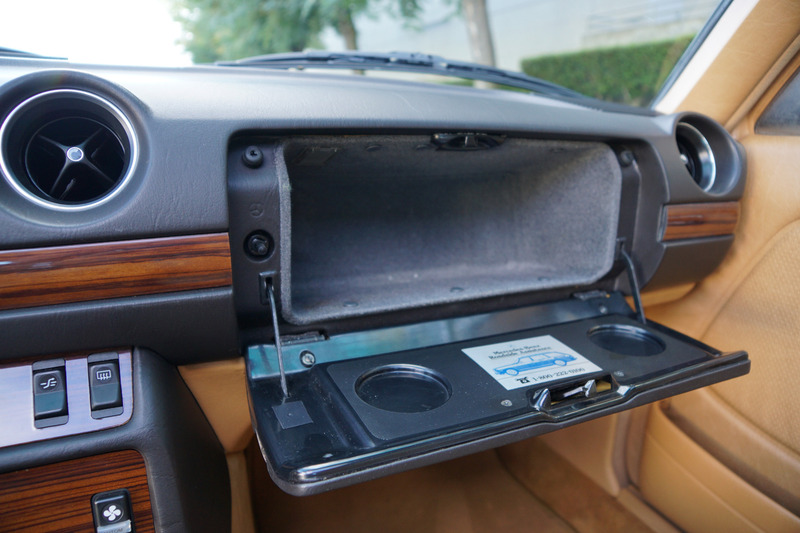 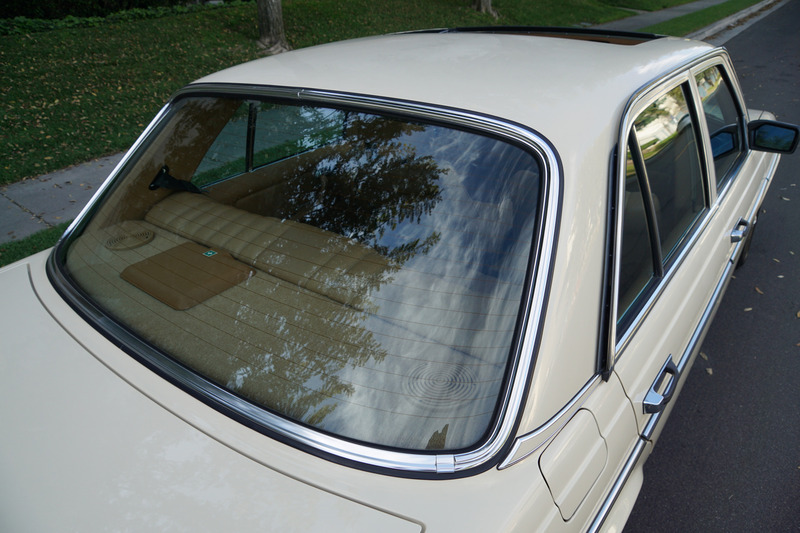 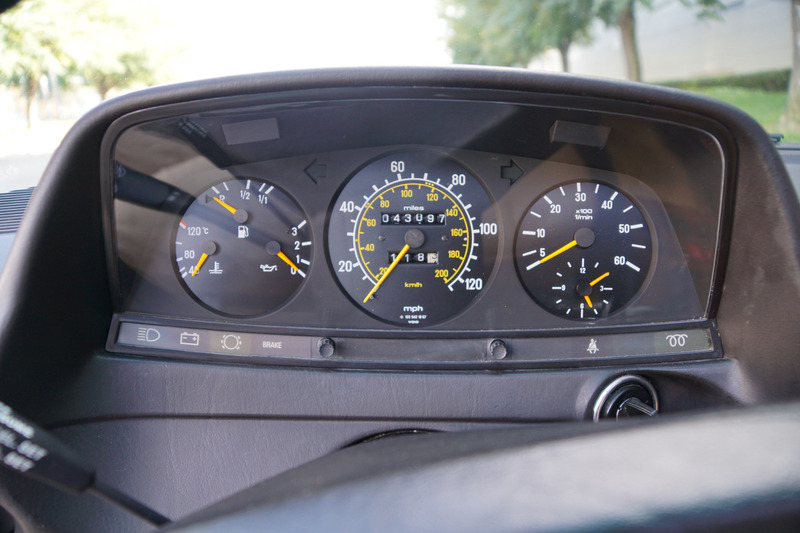 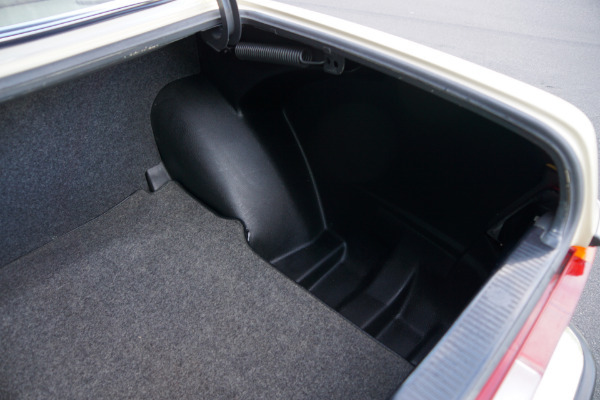 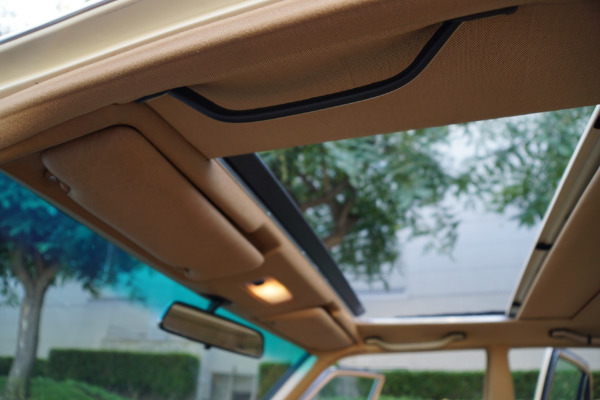 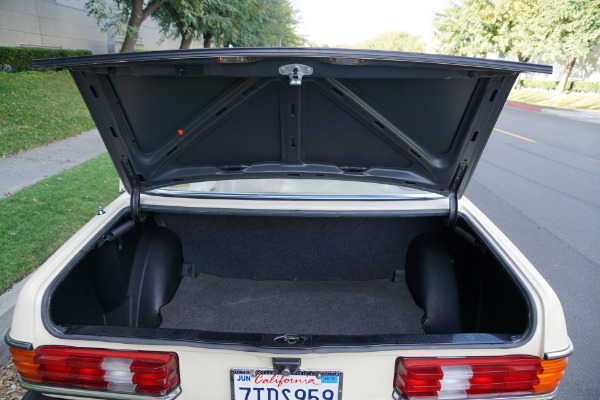 All the power options are working as they should including the original 'Becker' stereo radio cassette, the air conditioning and the optional sunroof (an expensive factory option in 1983). 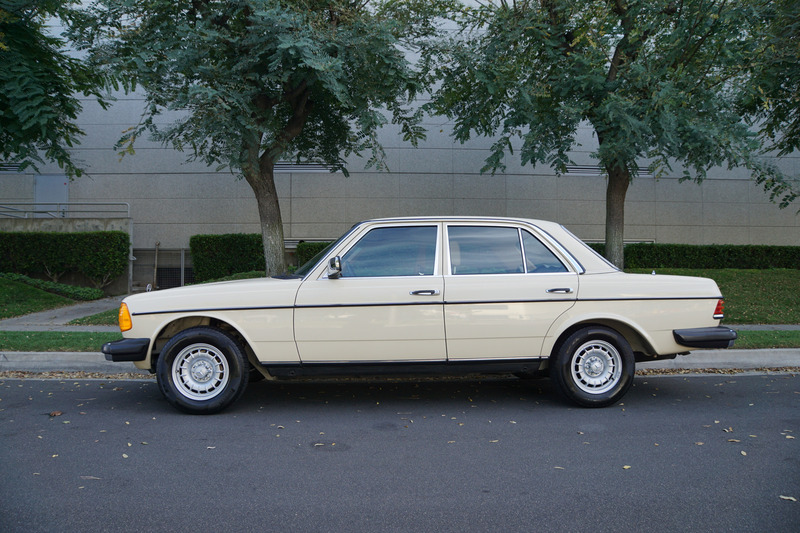 Without a doubt, this is one of the finest built cars ever made by Mercedes-Benz or indeed any other luxury car manufacturer, now becoming more desirable (with only 25 MPG city and 30 MPG highway) than ever before - certainly you will look long and hard to find a finer head-turning example with such low original and well maintained miles and with every option working as it should available anywhere else! 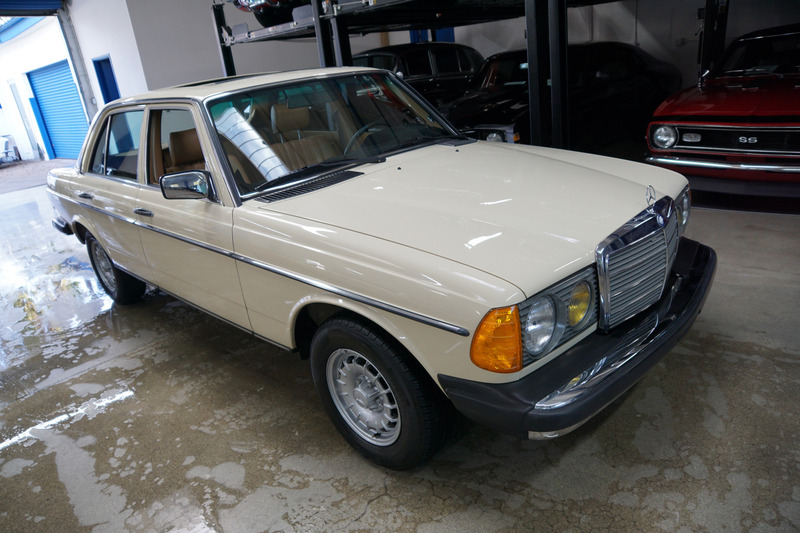 This particular model was obviously always garaged by its owners with absolutely no accidents or damage ever with all original parts, sheet metal and paint and is for the most discerning buyer who wants and expects nothing but the very best example available anywhere.